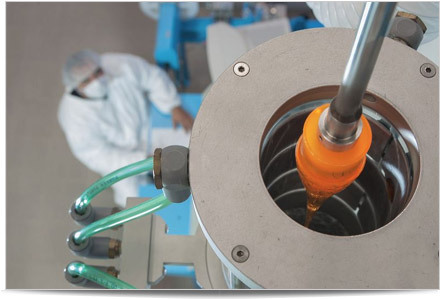 Thermoplastic Elastomers such as Hytrel®, Engage® and Pebax®. Thermoplastic Elastomers (TPE) are designed to deform under specific load and return to their original form when the load is removed. TPEs are thermoplastic and can be melt processed. TPE monofilament can offer high elasticity, high ultimate tensile strength and low melting temperatures. Hytrel®, Engage® and Pebax® are commonly used.